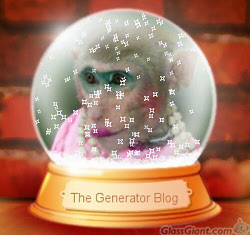 The Generator Blog: Snowglobe Generator. Make a personalized snowglobe! Upload a picture, then select the area to use in the snowglobe and enter a description for the plaque. It makes a great, free Christmas gift!